The pure water cleaning solution that cuts glass cleaning time in half, without chemicals and ladders! 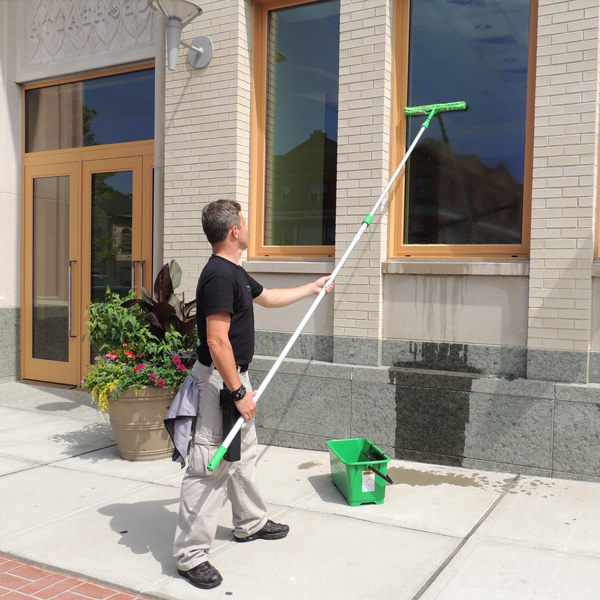 Cleaning your facilities windows is significantly easier and safer when you get started with a purpose-designed cart and choose between a Starter Kit, Professional 55' Kit, and Advanced 33' Kit. 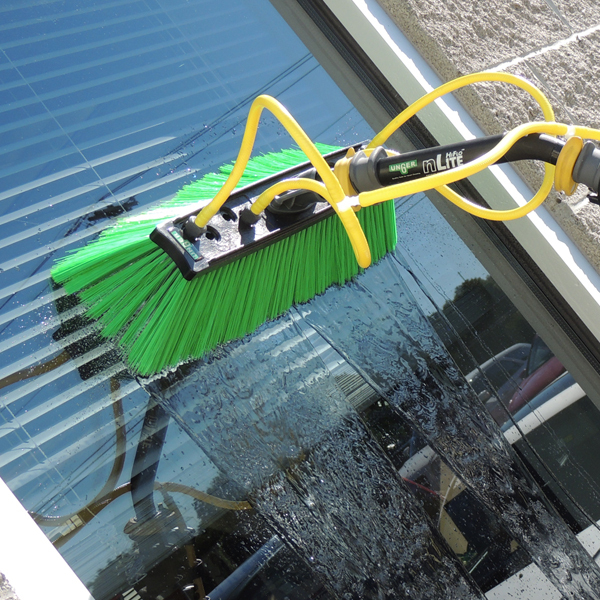 The HydroPower DI pure water window cleaning system keeps workers firmly on the ground while leaving windows spotless. Offered in three sizes including a 300, 600 and 1200 gallon capacity, systems are portable, easily transported, maintained, assembled and stored. Unlike other pure water systems, which require resin to be poured from containers into filters, the HydroPower DI Quick-Change resin bags are simple and easy to use - increasing efficiency and reducing waste. When paired with an nlite carbon pole, the HydroPower DI system can clean windows up to five stories high without ladders or lifts - eliminating the risk of ladder fall injuries and costly lift rentals. 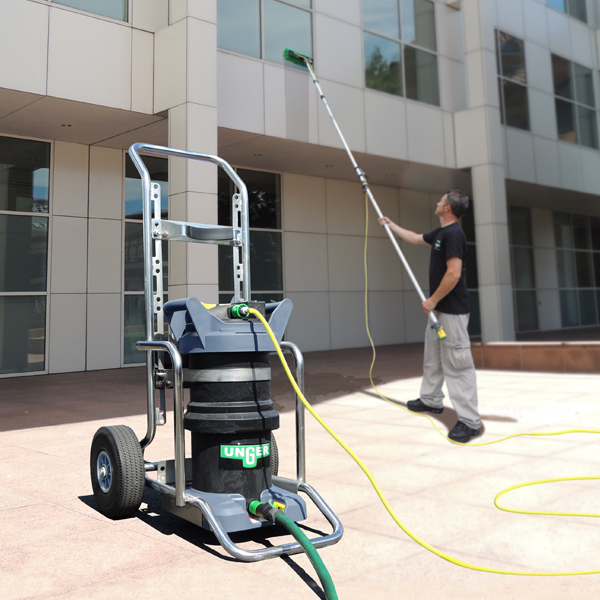 If you’re considering pure water window cleaning, Unger’s HydroPower DI is the choice for superior outdoor window cleaning.